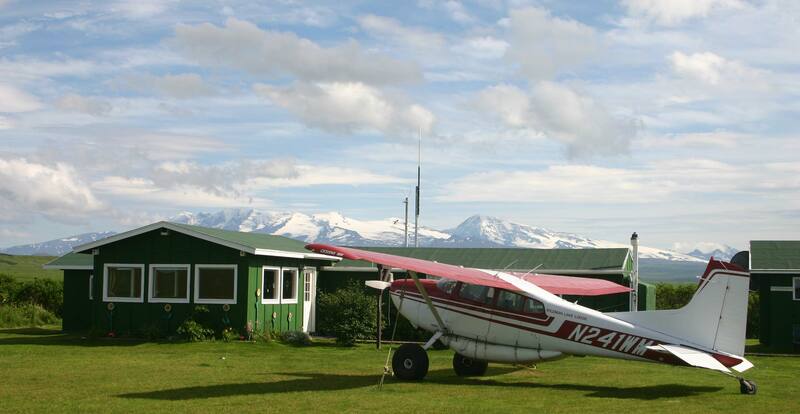 Wildman Lake Lodge operates several aircraft, each flown by experienced Alaskan bush pilots with years of experience here on the remote Alaska Peninsula. All Lodge aircraft undergo meticulous Annual Inspections just before the season, performed by FAA Certified A&P Mechanics and Inspectors. Routine maintenance is performed at the lodge by FAA Certified Mechanics, during our busy summer. 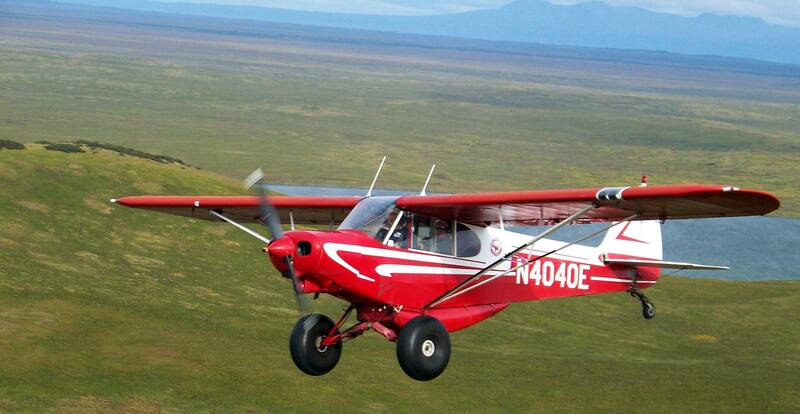 Our lodge aircraft include: an IFR certified twin engine Piper Navajo Navajo Chieftain, an agile Cessna 185 Sky Wagon, classic De Havilland Beaver, and two high performance Piper PA-18 Super Cubs equipped with “Tundra Tires” for rugged off airport landings and takeoffs. During the season, our twin engine Navajo Chieftain , in conjunction with all weather Beech Airliners, operated by our friends at “Lake Clark Air”, carry passengers and supplies from Anchorage, while the role of our bush equipped single engine fleet is to safely transport guests and guides between the lodge and our remote fly out fishing and wildlife viewing destinations. Generally, the De Havilland Beaver is accompanied on these fly out excursions by the 185 Cessna Sky Wagon or one of our Piper Super Cubs. 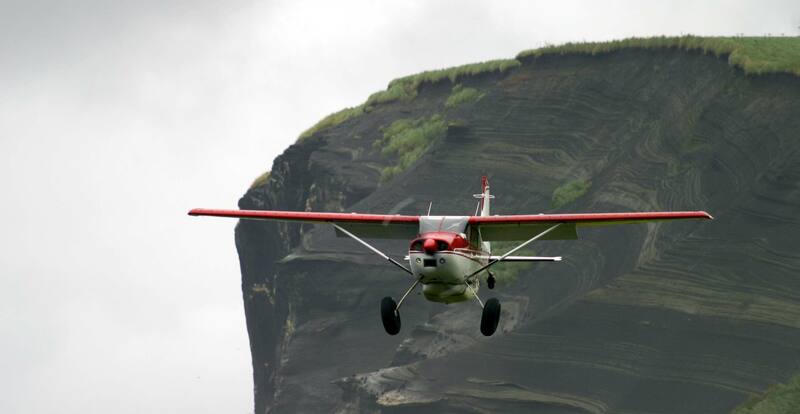 In our remote part of Alaska, we believe in redundancy and plenty of back up to assure you of a safe and unforgettable experience flying with us in the wilds of Alaska! 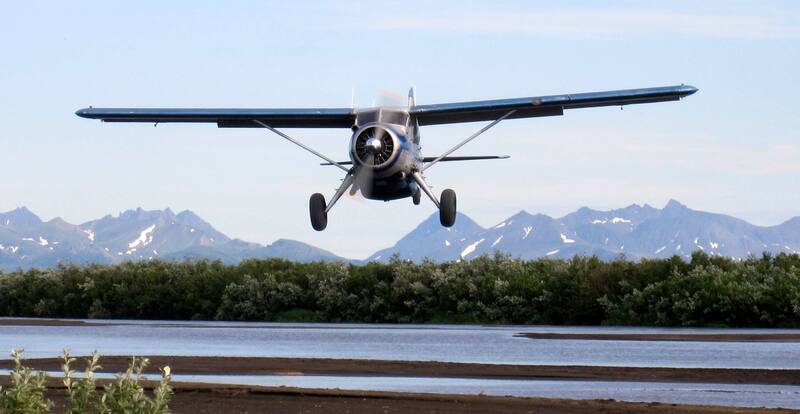 Our Chief Pilot and Lodge Owner Gary “Butch” King, has been flying in Alaska for more than 40 years. Butch has extensive experience in the Alaska bush and is our primary De Havilland Beaver Pilot and weather man. Using his decades of aviation experience, Butch studies weather patterns and forecasts will announce each day’s plans during breakfast. In the evenings he often entertains guests with stories of his years flying in The Last Frontier from the Arctic, to the Aleutian Chain. Our Lodge is equipped with seven Lowe Jet boats maintained by our experienced boat captains. Guide staff team together to perform preseason maintenance on all vessels to assure proper running of all our Yamaha outboard jet drives. You can simply sit back and relax as our staff confidently navigate our rivers and delivers you to our finest fishing locations. Whether you are headed down river in search of wildlife or on a wilderness fly out excursion, hoping for the photo opportunity of a lifetime, our equipment will get you there and back safely. 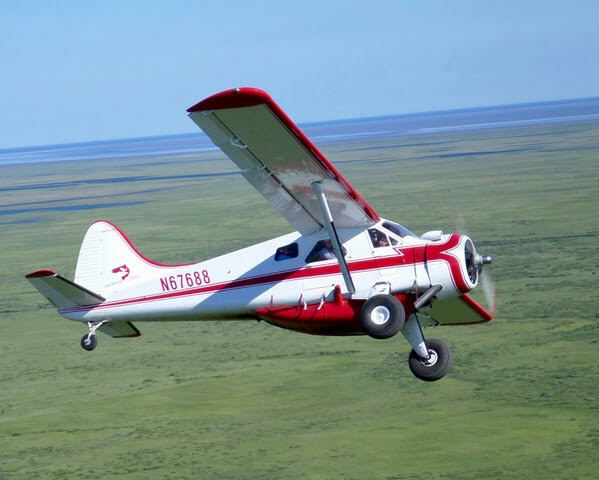 Our 1957 De Havilland Beaver on large “Tundra Tires” has been the primary workhorse for the past 20 years at Wildman Wilderness Lodge. Over the years, every board, nail, gallon of fuel and piece of equipment has been delivered by aircraft, mostly in the Beaver. This iconic Wildman airplane was salvaged off a mountain side, 180 miles north of the Arctic Circle In 1989, by Butch and his brother Mike. After undergoing a complete restoration it joined the Wildman fleet in 1996 and is responsible for delivering most all of the building materials and supplies that made our lodge possible. For years Butch has flown guests to his favorite wildlife and fishing locations with the Beaver, during the winter of 2017, the Beaver went through its second restoration and the installation of its third overhauled engine while under our ownership and now sports a new red and white Wildman paint scheme and matching interior. Generally, the De Havilland Beaver is accompanied on these fly out excursions by the 185 Cessna Sky Wagon or one of our Piper Supers. Butch believes in redundancy and safety in numbers when it comes to aviation in the Alaska bush. That way, always have a ride home. Also available is our complete line of spinning rods and reels. Our lineup of light, medium and heavy weight rods has you covered for all species. You will catch more fish in an hour behind then lodge, than you will in a week in most places. If you would like to wet a line during your stay, we are sure to have what you need in “Kate’s Tackle & Fly Shop” our pint size gift shop here at the lodge.